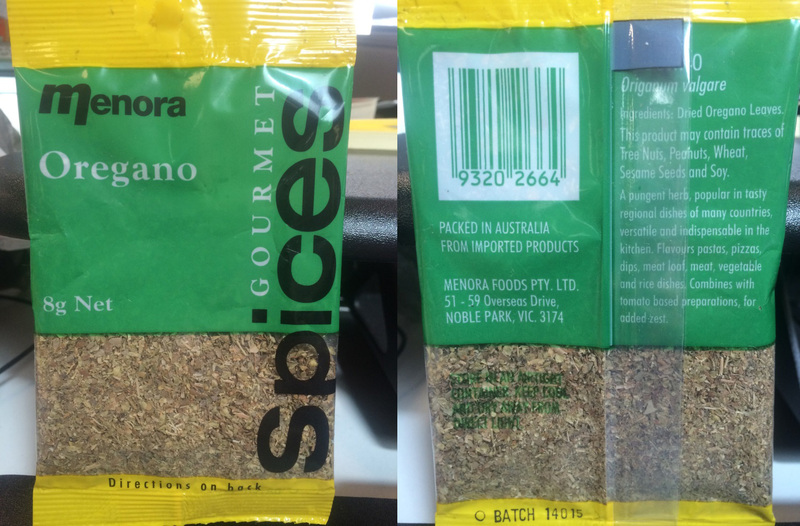 The Australian Competition and Consumer Commission has accepted court enforceable undertakings from ALDI Foods Pty Limited (Aldi) and Monde Nissin (Australia) Pty Ltd trading as Menora Foods (Menora) and resolved concerns with three other suppliers about the composition of their respective products labelled as ‘Oregano’. the Menora brand of oregano available at IGA and independent food services across Victoria, New South Wales, Western Australia and South Australia. 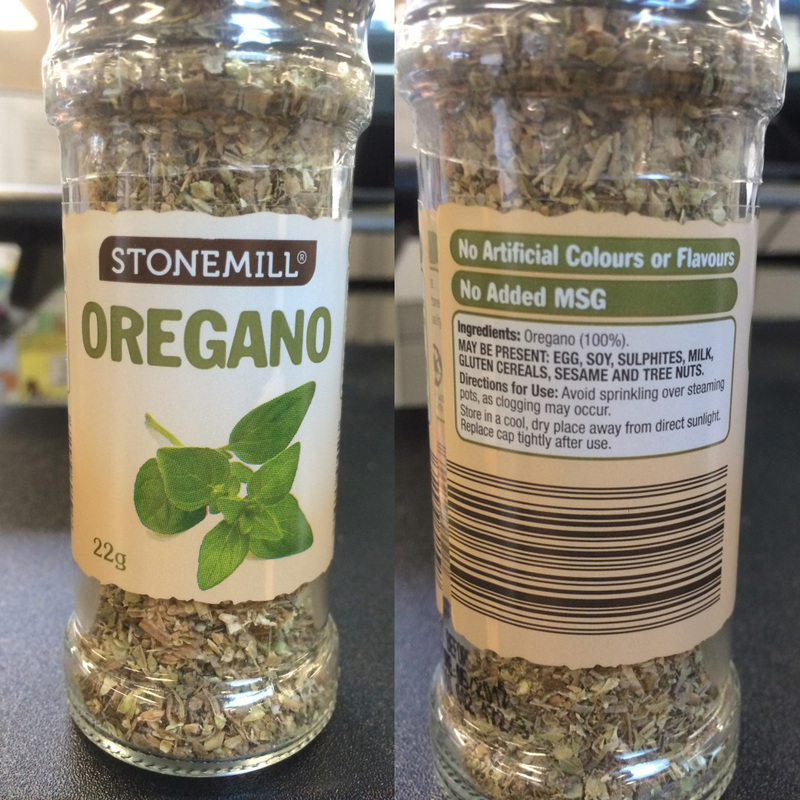 “By labelling their products as ‘Oregano’, both Aldi and Menora represented to consumers that their products contained only oregano. Test results provided to the ACCC identified the substantial presence of olive leaves in both Aldi and Menora’s oregano products,” ACCC Chairman Rod Sims said. “Suppliers of food products have an obligation to ensure ingredients of their products are accurately labelled and should be able to substantiate any representations made on the packaging that they approve,” Mr Sims said. Both Aldi and Menora have provided undertakings to regularly obtain test reports which confirm the composition of their products labelled as ‘Oregano’. They have also undertaken to implement testing of the composition of a number of other herb and spice products. To improve clarity in the industry, the ACCC has also agreed to administrative resolutions with the smaller suppliers of “G Fresh Oregano Leaves “Mediterranean”, “Master of Spices Oregano Leaves” and “Spice & Co. Oregano Leaves” which ensure they cease supply of oregano products that contain contents other than oregano leaves and will take steps to confirm the authenticity of their oregano products for future supply. The ACCC is continuing its investigation into other traders in relation to products labelled as oregano. The undertakings are available at our undertakings register. The ACCC initiated an investigation into a number of products labelled as ‘Oregano’ following a complaint from the consumer advocate group, Choice, which included tests reports suggesting that these products were not 100% oregano. When the ACCC brought these matters to Aldi and Menora’s attention, Aldi and Menora took a number of steps to address the ACCC’s concerns and accepted their conduct was likely to mislead consumers and contravene the Australian Consumer Law (ACL). The investigation identified that during 2015, ALDI made representations through statements on the packaging of its Stonemill brand oregano product that the product contained 100 per cent oregano. These statements included the text 'Oregano' on the front of the package and the ingredients list on the back of the package, which said “Ingredients: Oregano (100%)”. The investigation identified that between at least October 2015 and March 2016, Menora made representations through statements on the packaging of its oregano product that the product contained only oregano, other than possible traces of tree nuts, peanuts, wheat, sesame seeds and soy.